A short set featuring two artists, Happy Axe and Ghostnoises, performing a kind of remix/mashup of their individual tracks against one another, plus an original collaboration. I’m a fan of Happy Axe so it was a given to see this. And it was great. 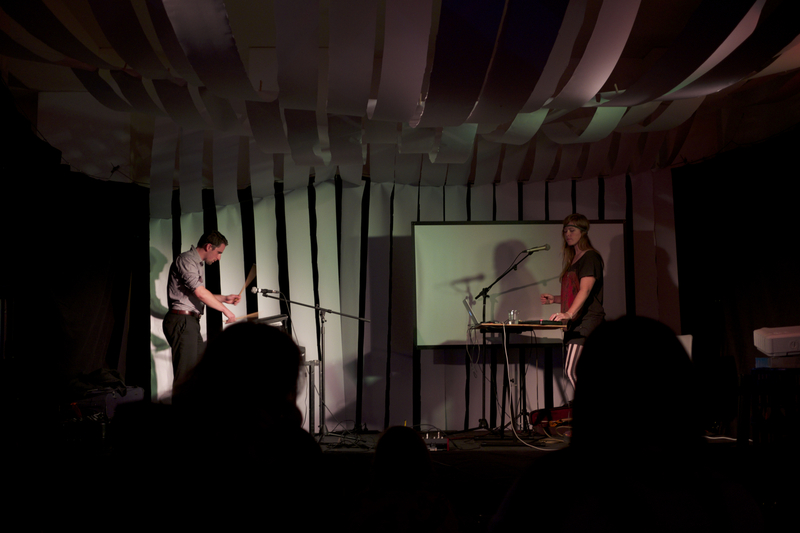 Ghostnoises’ piano and percussion are paired perfectly with Happy Axe’s warped, droney violin and saw. It is gigs like these that I kick myself for not bringing my Zoom to record the live set. But I prefer to do it with the blessing of the artist, rather than straight up bootlegging. Both are performing on Sunday at Smith’s Alternative, so I’ll check before the show. This entry was posted in music and tagged arts, canberra, festival, ghostnoises, happy axe, music, photography, YAH 2016, you are here. Bookmark the permalink.